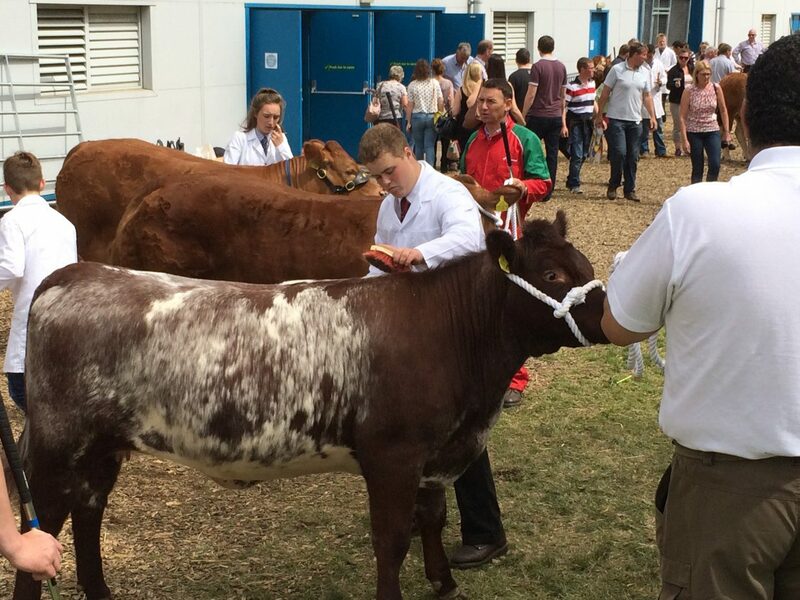 What a fantastic week we had with our Shorthorns at the Royal Highland Show, which we sponsored this year. The weather was amazing. 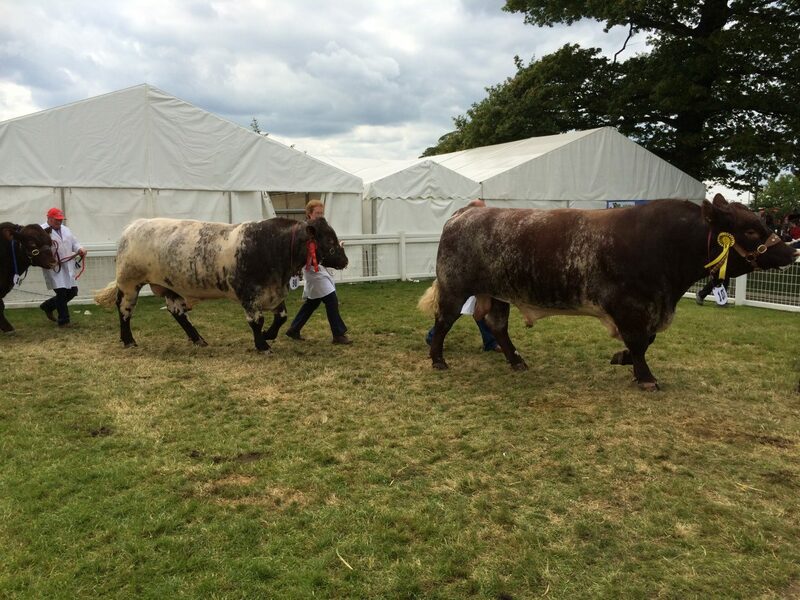 The first day (Thursday, June 19th) saw Quoiggs Freud join forces with Quoiggs Rhona E530 and her bull calf Mohmar Hercules to take the best pair bred by exhibitor, winning the Durno Bullrich Silver Challenge Cup. This is the second consecutive year this title has gone to Highland Wagyu! In the classes Quoiggs Freud was 1st (pictured below with Extra Special), Quoiggs Extra Special was 3rd (pictured top) while Quoiggs Rhona E530 and Mohmar Hercules were 4th. 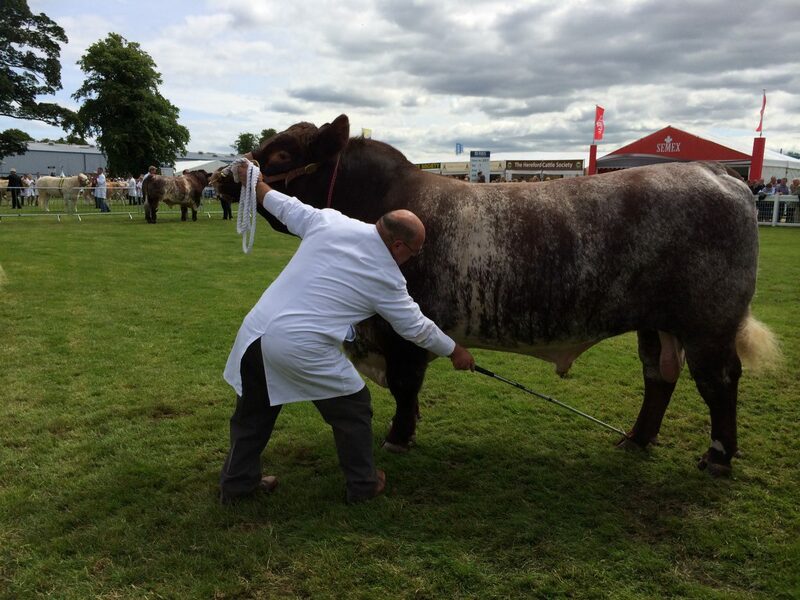 On Saturday, June 21st, the talented John McCulloch took part in the SAYFC Stockmanship Programme, having been picked to participate in the Clyde and Central C junior team and came second with heifer calf Mohmar Gracious Broadhooks (pictured below). The following day he did it again, coming second in his young handlers class. Well done John!! It was such an achievement to take home prizes from the ‘Greatest Show on Earth’. We’re proud of you Team HW.